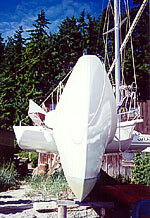 Cimba was purchased in mid 2008 and re-named "Pacific Bee" by Sven Stevens (www.azurspeed.com), who has enjoyed the boat and taken good care it. 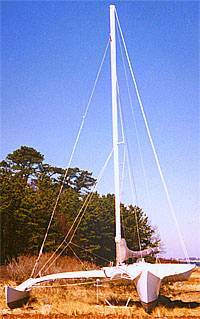 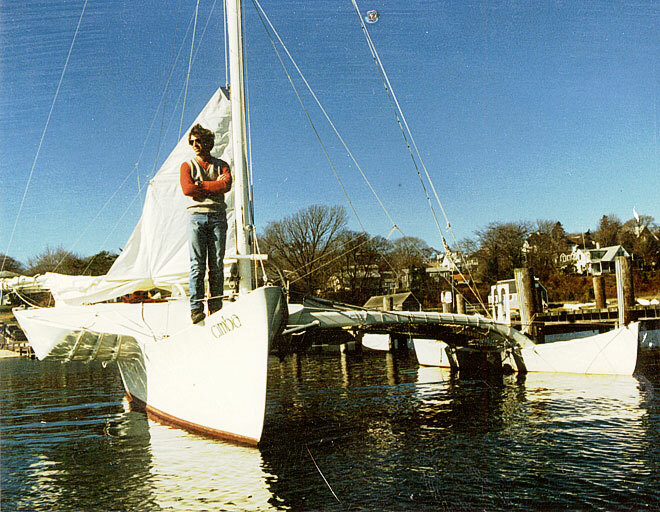 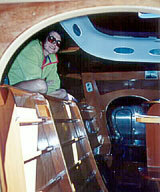 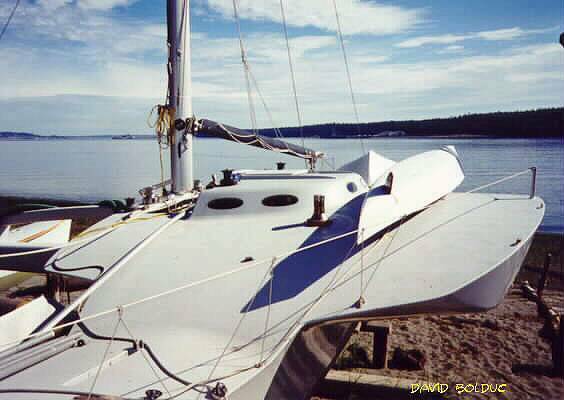 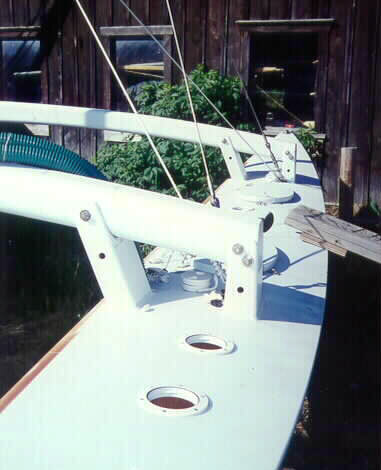 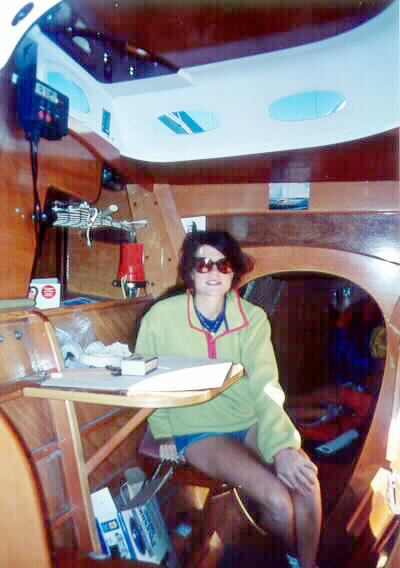 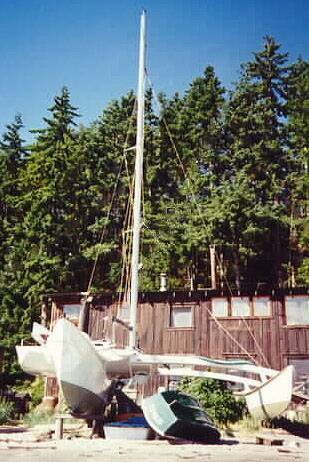 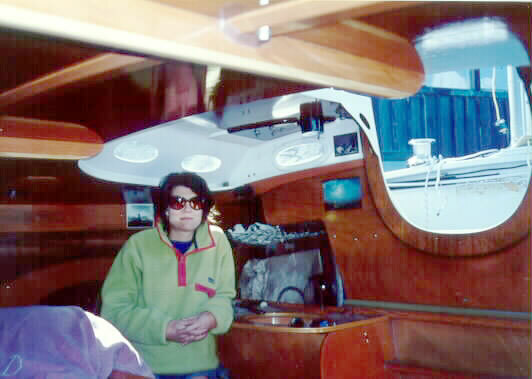 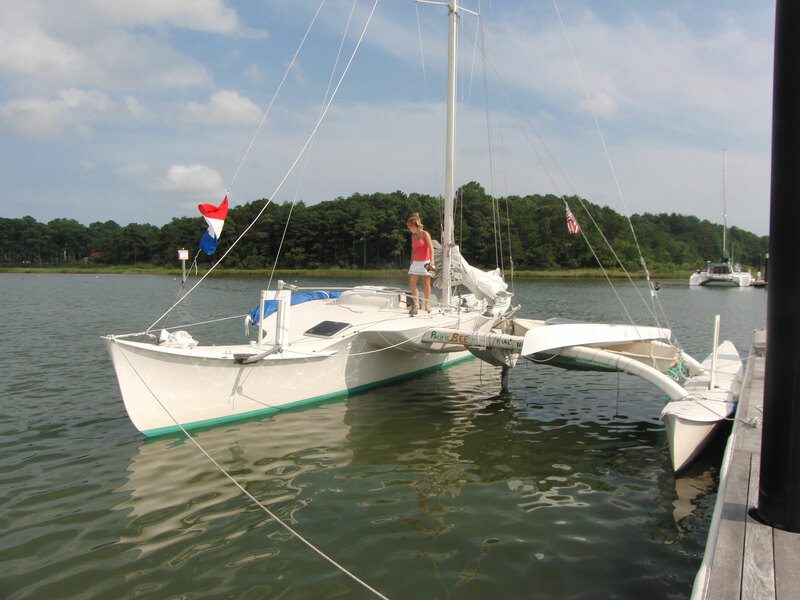 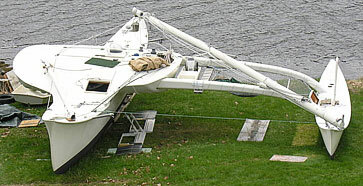 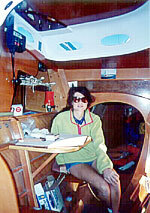 August, 2008, sailed south from Camden, Maine, to winter at Steve Brown's place on the Chesapeake Bay, where upgrade plans were: "new deck hardware, an inside mast position cockpit, new large roached mainsail, masttop roller screacher, new underbody strip & paintjob, mast overhaul, etc.". 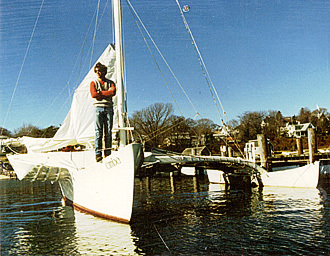 Part of that trip, as he described it in email: "the New England fog and no wind initially slowed us down a bit, but BOY did we have fun after clearing Cape Cod canal, what a ride, flying over and against full current through Wood's Hole into Martha Vineyard, where we did some lazy family stuff.". 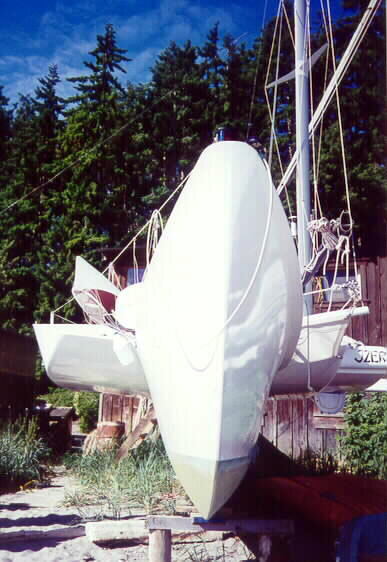 and Russell Brown's latest 37' Pacific proa! 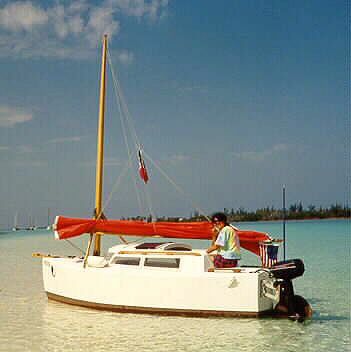 a fifteen foot sharpie cruising the Bahamas! 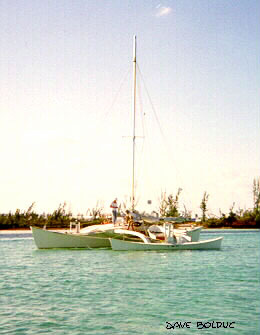 Many new friends were made while cruising this area, and one of our favorites was the McGregor family. 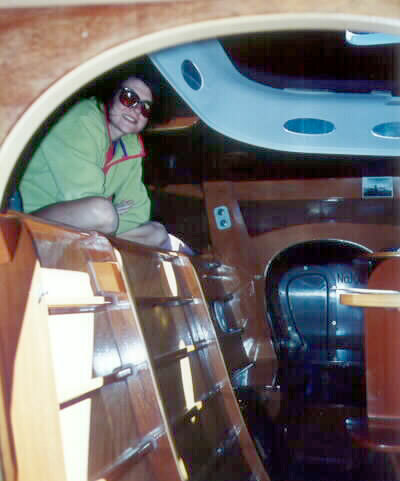 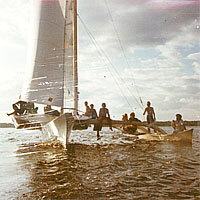 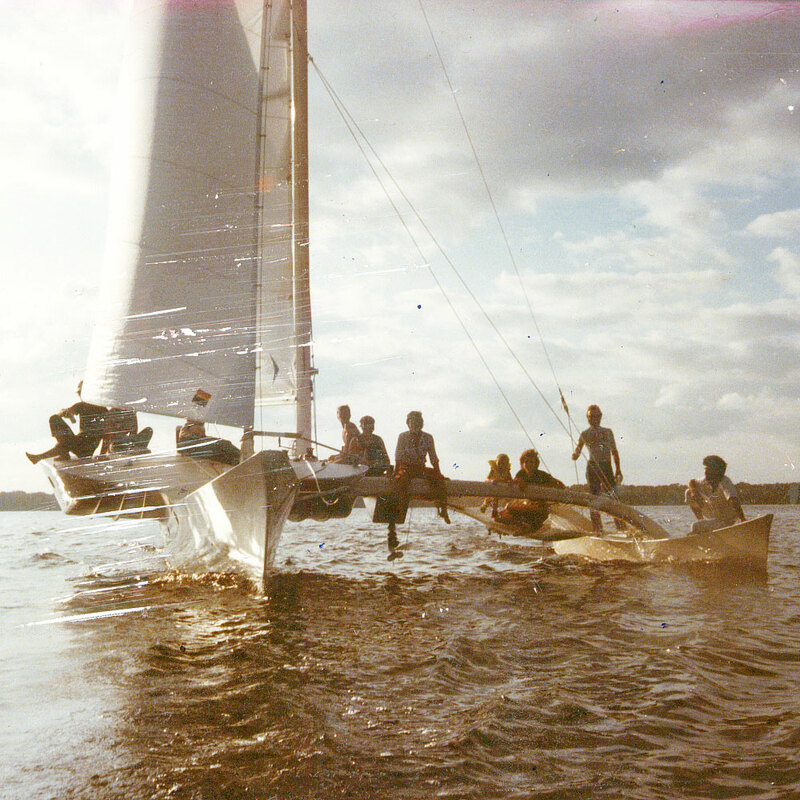 They were traveling on a fantastic 37 foot proa called "Cimba," built by Lew McGregor and his friend the designer, Russell Brown. 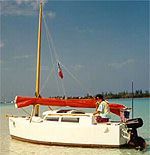 Though spartan in comparison to the typical forty footer, this polynesian craft was extravagant next to our own. 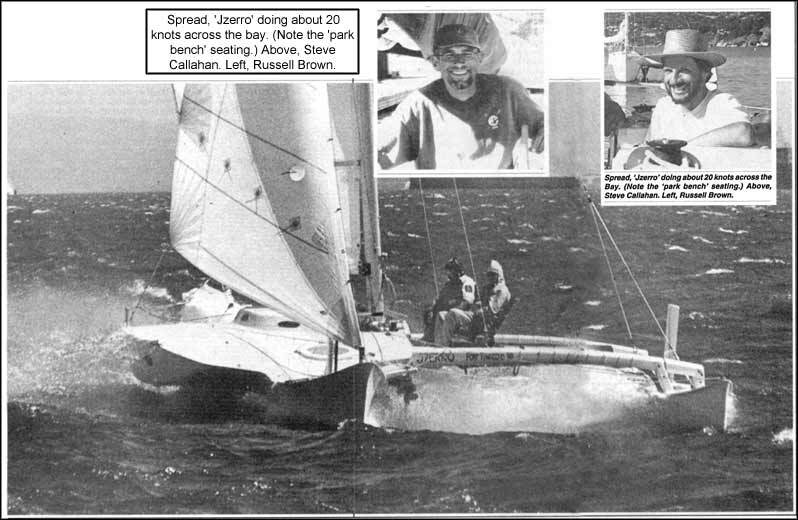 "Jzerro will reach at 17 or 18 knots in 12 knots of wind." 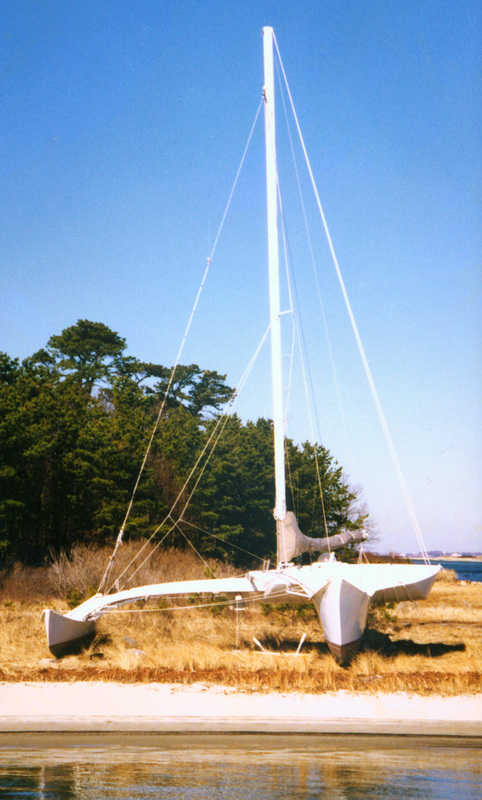 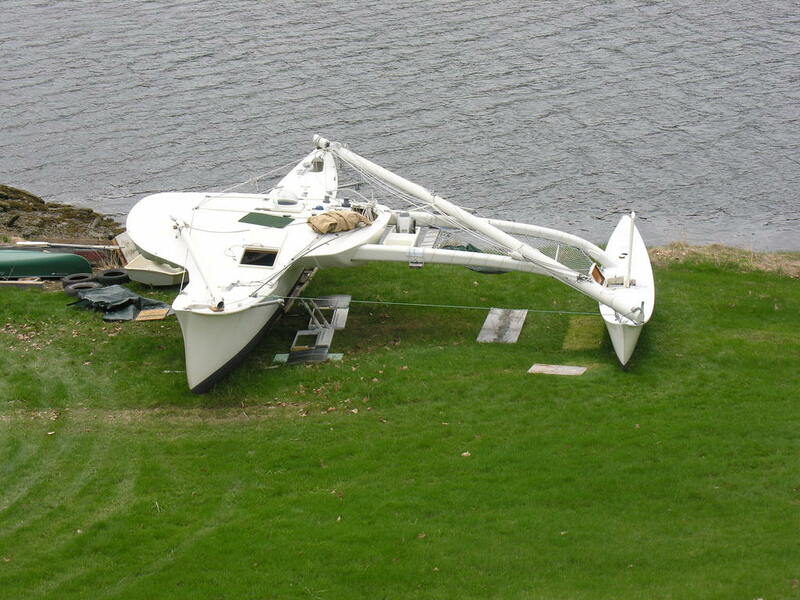 opposite that of the "Atlantic proa" with heavier hull to windward.